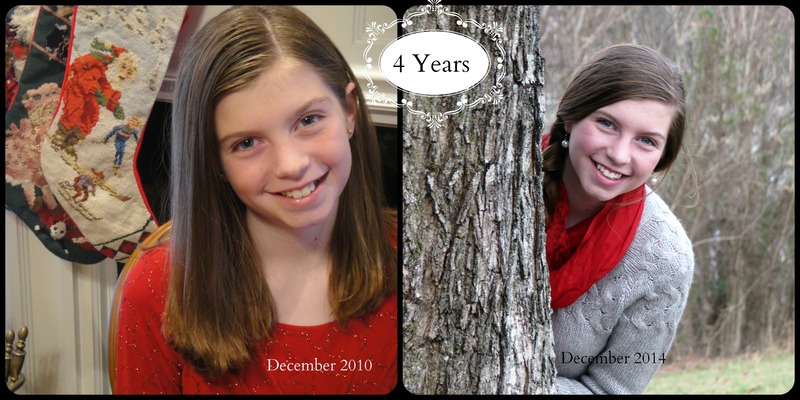 4 Years Is Enough Time to Make A Difference | KC & Co.
Today, December 20 2014, marks four years since my daughter was diagnosed with type one diabetes. Oh how far we’ve come! And oh what we have learned! For those of you whose children are newly diagnosed and even those still struggling after years, let me share my daughter’s experience. In 2010, she was a daughter, a sister, a granddaughter, a niece, a cousin, a student, a friend, a leader. Also, an athlete, a straight A student, a musician…and a pre-teen. And as I look at the picture on the left, I see she was thin and tired. In 2014, she is a daughter, a sister, a granddaughter, a niece, a cousin, a student, a friend, a leader. Also, an athlete, a straight A Honor student, a musician….and a high school freshman…and an advocate. And this year’s picture, shows a happy, vibrant, healthy young woman. Is she perfect? No. She has been known to forget to bolus for lunch. She has walked out the door without test strips. She has underbolused and overbolused. She is guilty of the “sigh-roll”–the combination eye roll with sigh for emphasis so many teens are guilty of doing. She thinks I am a “diabetes dork” for doing awareness activities in November. But her endo is happy with her a1cs. Her dietitian is happy with her eating habits. Her teachers are happy with her in-school management of her Type 1. I am happy that she is a good kid who is confident of who she is and true to her values. I am proud that she has been in charge of each of our four JDRF walk teams..she sets up the page, she sends out the emails, she hounds people over and over which has led to her getting a Golden Sneaker each year and raising almost $20,000 so far. Diabetes is a part of who she is but it does not define her. 1. It is only a number; correct and move on. Do not take bg numbers personally. You can eat exactly the same things at the same time each day and still have wonky numbers. 2. When faced with an opportunity for your child to do something, ask yourself “what would I say if diabetes wasn’t in the picture?” If the answer is yes, make a plan. Find a way. 3. Be an example to your child while still following their lead. Kids are naturally resilient–they are ready to get back to living their lives, albeit now with external insulin on board, much more quickly than we parents are. The more we encourage and allow them to be kids, the better our chances that when they do rebel, the rebellion will be minor and short-lived. Don’t let “What’s your bg?” be the first question you ask your child when they get home from school each day. 4. Keep Calm and Carry On isn’t just a catch phrase. Don’t freak out about D things in front of your child, or where your child can overhear (or read over your shoulder). But I admit, I still gasp when my daughter’s pump falls off her waist band. 5. Your child will still be the same person after diagnosis. Overachievers will still overachieve. The lazy kids will still be lazy. Drama queens will still be drama queens. Laid back kids will still be laid back. IF you let them. (Go back to #2) Sure the pre-teen and teen years shake that up…but they do for ALL kids. 6. Diabetes is not the reason for everything that happens. Look at the whole child and not just diabetes. 7. Don’t let technology dominate you. She was approved for a cgm and pump 3 months after diagnosis. These are wonderful tools—use them to make life easier, more normal–not to try to chase a flat line bg every day. Let your child use the cgm data to confirm what their bodies are telling them. If my daughter thinks she feels low, she looks at cgm–if the cgm confirms her feelings, she goes ahead and treats the low. A bag of fruit snacks is not going to kill her. If her feelings and cgm don’t match, then she confirms with bg check. If the cgm alerts that a high is coming on, she starts drinking water to help flush out the sugars and prevent ketones. She has learned about meal spikes and not to treat them. But she is not looking at the cgm all the time. She trusts it to do its job and she trusts herself to know her body. 8. When you are having a day with diabetes is weighing heavily on you, look at those who are living with it and succeeding. Surround yourself with positive images and remove yourself from places where negativity dwells. It isn’t always easy to do, but you will be happier and healthier for it. 9. Get involved in advocacy, even if your kid calls you a “diabetes dork” for doing so. Find your niche. 10. Don’t forget to take care of yourself. Marriages and other children sometimes suffer because we focus so much on diabetes. We can do this…because we MUST do this. The true test of our character is not how we handle things when life is easy, but how we manage the challenges. Happy 4th Diaversary to my lovely daughter! Posted in For the Newly Diagnosed, Teens, type 1 diabetes and tagged children with diabetes, JDRF, juvenile diabetes, Teens with Type 1, Type 1 diabetes. Bookmark the permalink. I love this post so much! !